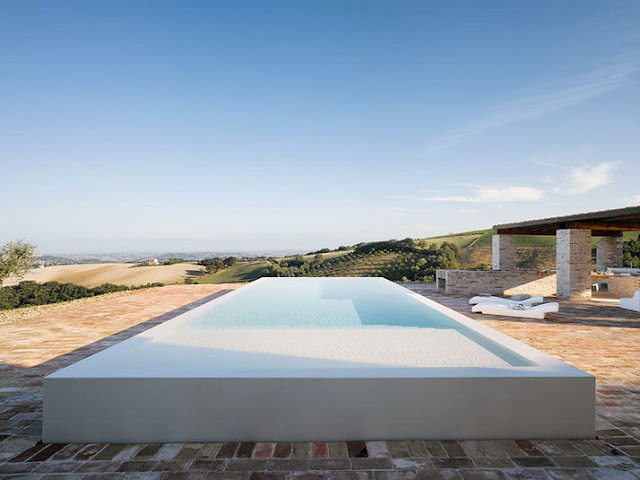 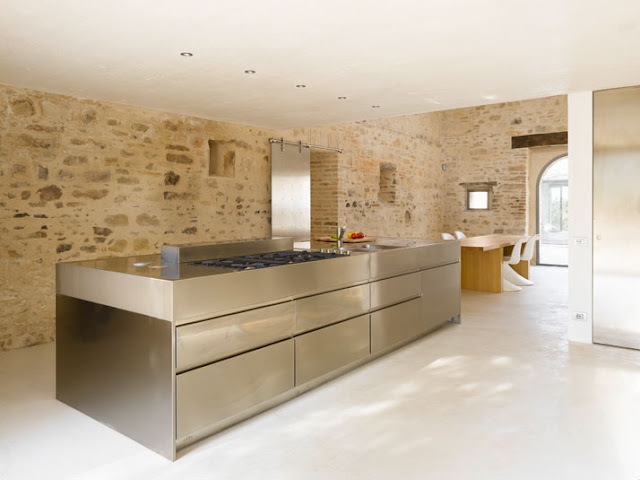 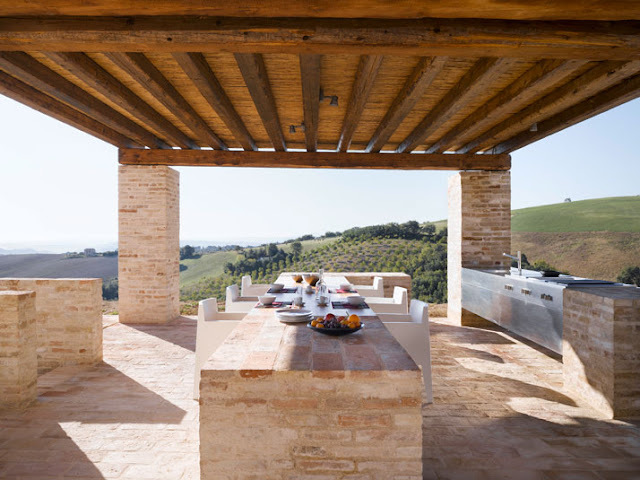 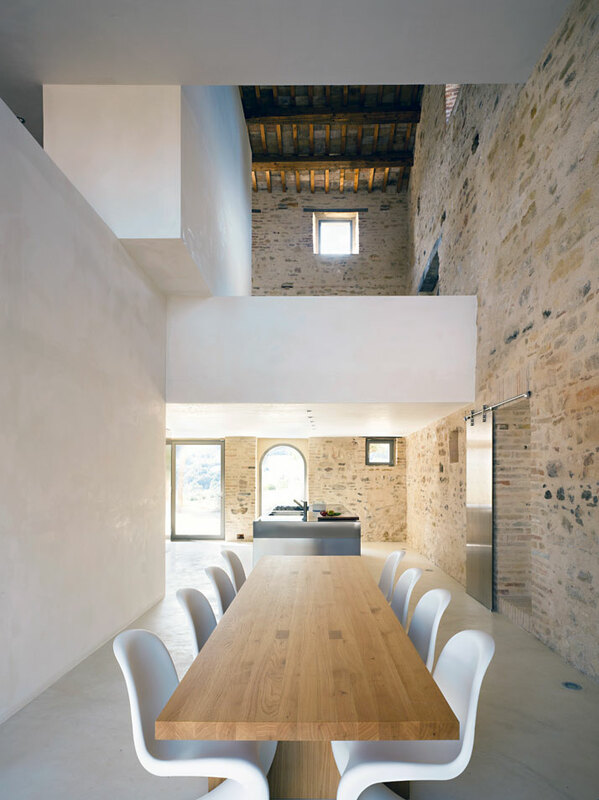 Our daily dose of simplicity travels to Italy, for some delightful views of a converted 300 year old villa in Le Marche. Le Marche is a hidden jewel in Italy, in the area of Treia, Province of Macerata, the so-called ‘New Tuscany’. 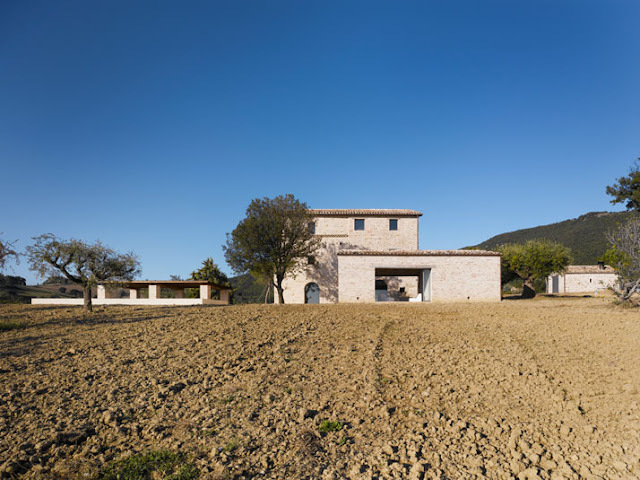 Swiss architects Markus Wespi and Jerome de Meuron renovated a ruined farmhouse into a modern, minimal dwelling with a guest house and a pool. 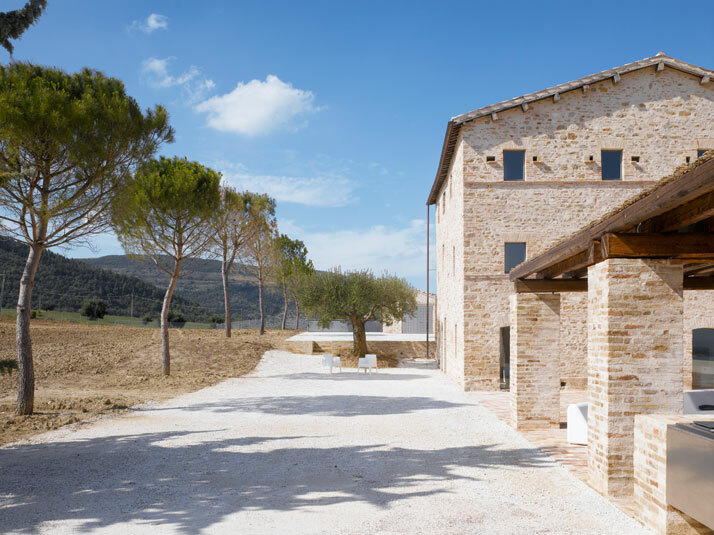 After four years of careful restoration works, the result is a contemporary vacation house with respect to its original history and glory. 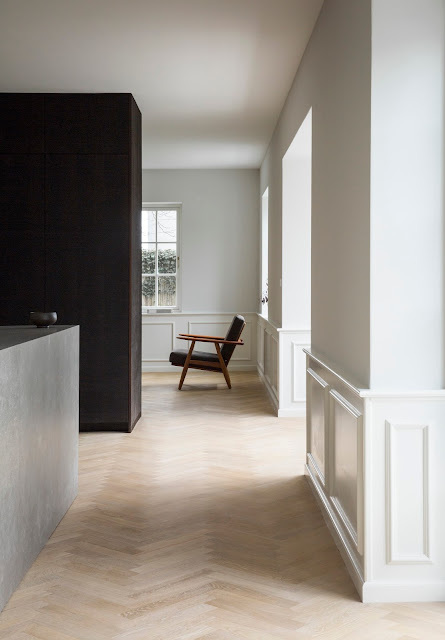 Contrasting textures, materials and designer furniture pieces are combined, so that the past and new elements create new guest spaces of unique clarity and beauty.